Parades - Anual labor Day Parade. 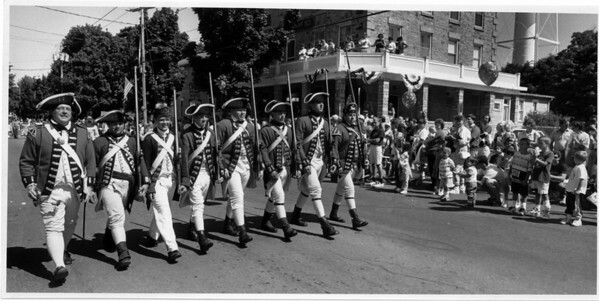 The Old Fort Niagara guards march past spectators on Main Street in Youngstown at the anual Labor Day Parade. Photo - By James Neiss - 9/2/1991.